The co-founder of Lightfoot Travel shares more about his bucket-list experiences, and why Kenya will always have a special place in his heart. It’s easy to see Nico Heath’s passion for adventurous sojourns—his eyes instantly sparkle with delight, as he chats animatedly about his myriad journeys and awe-inspiring sights of wildlife. The co-founder and director of Lightfoot Travel spent most of his childhood holidays exploring South Africa, Botswana, and other parts of the continent. Founded in Singapore in 2009, the bespoke luxury travel company offers personalised tours based on firsthand experiences by its adventure specialists and strategic partners. With nearly two decades of experience under his belt, the London-born, Singapore-based director has lived in Kenya while working as the assistant manager of Borana Lodge, a luxury boutique property, followed by a memorable stint as an apprentice guide for a mobile tented company in the Masai Mara National Reserve. Heath’s love for the continent has gone unabated, and he continues to travel to the continent twice a year. Kenya in particular, is a destination that he enjoys revisiting. 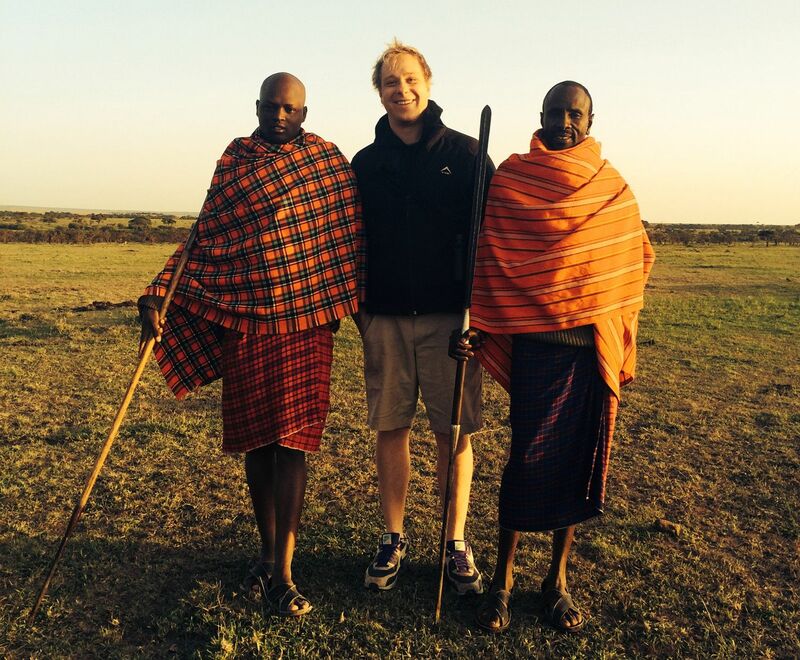 “I have worked in and explored all corners of Africa, but Kenya will always have a special place in my heart. The people, animals and culture make it a fascinating place,” shares the frequent traveller. Nico Heath (NH) One of my recent trips was close to home—we visited Indonesia. We explored the atolls of Sulawesi on board a traditional Indonesian Phinisi boat which was an incredible experience. NH Zambia, exploring South Luangwa and Lower Zambezi. NH Learning about new cultures and meeting the locals and experiencing the wildlife. NH One of them has to be a helicopter flight over Queenstown, where we stopped for a round of golf on top of a glacier—a true bucket list experience. NH Anytime that I miss a connecting flight! NH Bose noise cancelling headphones, iPhone 7 Plus and my binoculars. NH I should say my wife or son, but I love heading to Africa with my mother who is as equally passionate for African wildlife like myself—she inspired me to get into Africa safaris. NH Lounge buddy is great if you’ve been on a long flight or have a connecting flight. Use the app to track down your nearest lounge when you’re at the airport and book lounge access instantly. NH Whenever I’m going to a new destination, I love to get immersed in that culture, whether it’s reading a novel set in the place or an article about the top things to do. NH Aisle for day flight, window for night flight. NH Always research the local restaurants before you go. You don’t want to get it wrong if there are so many other places you could have gone to. NH Change your watch as soon as you’re on your flight so you get into the time zone as soon as you get there. It’s tempting to go for a nap, but try and hold out until it’s bedtime in that country.